Are open learning environments the answer? At the St Philip’s Christian College group of schools, the Junior School leadership have been exploring the most effective classroom environment for student engagement. Some years back, many of the classroom walls were pulled down to create open learning spaces. This modification brought about many positive changes in student learning and teacher collaboration. However, in some instances the sensory overload of a completely open space was too much for some students. The ensuing observation was reached that a classroom which can be flexible and yet not completely open is conducive to effective learning across a range of pedagogies. Helen Finlay, Head of Junior School at St Philip’s Christian College, Gosford, put much time into determining the most effective learning environment in the development of the new Junior School at Gosford. ‘When I first arrived as Head of Junior School, the students were working in open spaces,” Finlay said. Finlay said this was a “huge consideration” when planning the new junior school space. “Whilst I embrace the idea that learning should be child-centred with many opportunities for rich inquiry and collaboration, research also tells us that effective inquiry can only take place if the students have been taught the skills they need to do this,” she said. 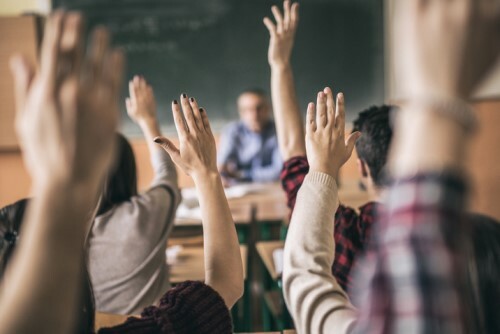 In March, a report from Melbourne University addressed the latest research findings on whether or not the trend toward open learning environments is the best approach to maximise student learning and engagement. Authors Marian Mahat, Chris Bradbeer, Terry Byers and Wesley Imms, looked into which environment students most engaged in deep learning, displaying strong creativity, critical thinking, collaboration, and communication skills – the so-called ‘4C’s. Five different classroom types, increasing in openness and with varying configurability, from traditional to open-plan, were compared in order to establish which typology was the most effective. Ultimately, the conclusion reached in this report confirmed the approach in classroom typology at St Philip’s Christian College, that the most open of the typologies did not result in the greatest success in learning, suggesting that complete openness is not the answer. Rather a space which had the potential for varied task-specific settings, through manipulation of the physical space, with moveable walls, blackboards, interactive whiteboards and other dividers, may be more desirable. Paul Wellham, Head of Junior School at St Philip’s Christian College, Newcastle, explains how he has found introducing this style of learning environment beneficial. “To develop the inquiring minds and critical thinkers of tomorrow, students must be afforded the opportunities to explore, discover and inquire in their learning. A less traditional, more open learning space allows for this,” Wellham said. According to Wellham, this often requires a smaller group and quieter space. “Our flexible learning environments are designed and built with these scenarios in mind to allow for both,” he said.